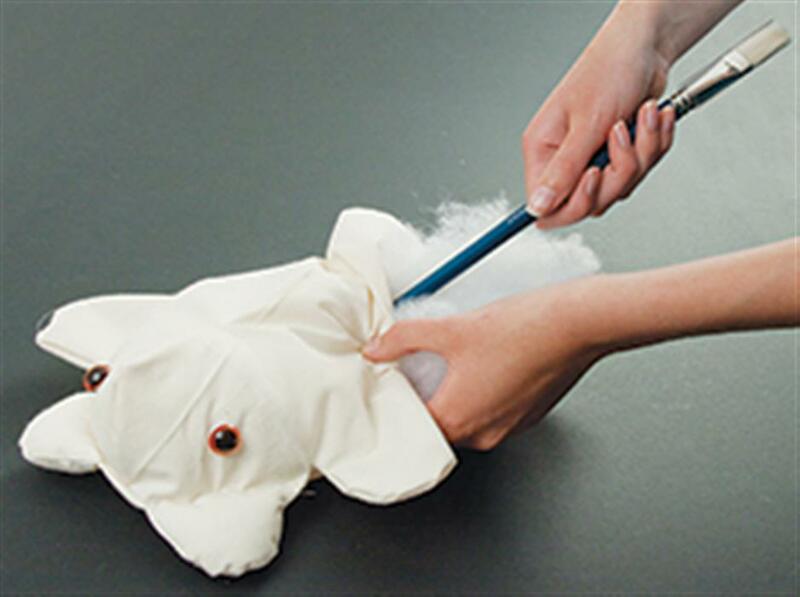 Learn to assemble your own calico bear by following this simple step-by-step guide. 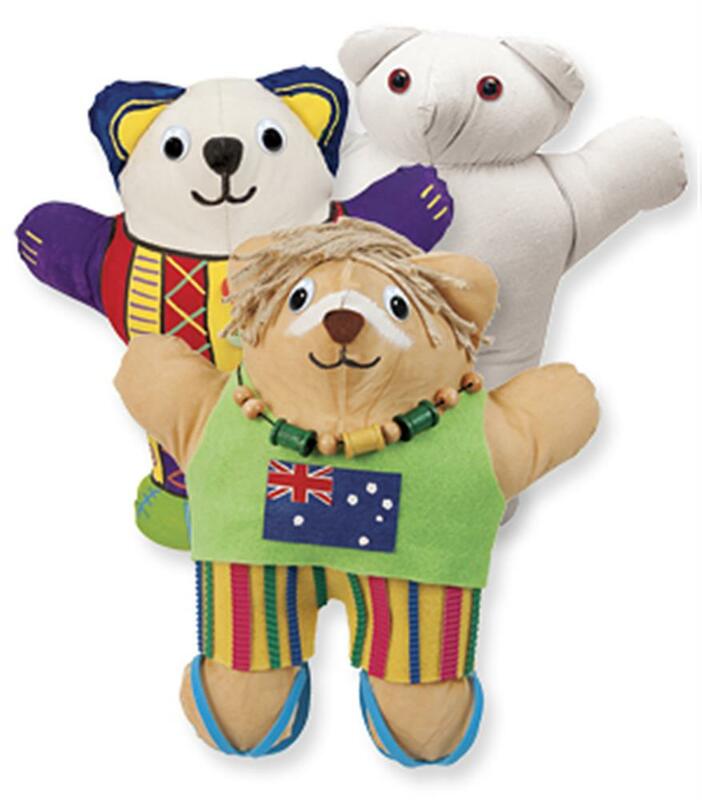 Decorate your bear any way you like – feel free to use one of our suggestions or create your very own unique bear! Great for graduation signature bears or to add an extra fun element to a theme studied in class. Use a pencil or fabric fading marker to draw a cutting line around the pre-sewn calico bear. This line should be 5mm out from the stitching line. Using sharp scissors, cut along this line. Leave an extra 1cm of fabric along the filling hole. Carefully snip the fabric inwards towards the seams on all the bends and corners. This will give the bear a smoother edge when turned right side out. 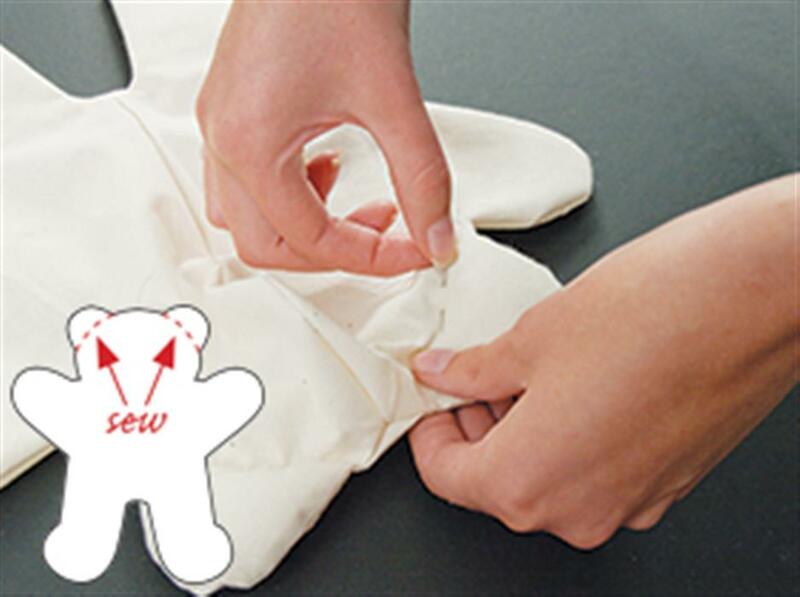 Pull the fabric through the filling hole to turn the bear the right way out. Work the seams with your fingers to make them sit flat, especially the ears, groin & centre front seam. Use the end of a paint brush to push a small amount of filling into the bear's ears, working it right into the seams with your fingers. With a doubled sewing thread and sharp needle, stitch along the base of each ear with small stitches. Fold the head along the centre front seam and push a needle through both thicknesses to locate the eyes symmetrically – mark carefully. Make a hole on these marks with scissors. Push the eye shank through this hole from the front side of the fabric. From inside the bear, push the circular clip onto the shank as tightly as you can. Fit a cotton reel over the shank and hit or push it sharply to help tighten the fitting. Use the paint brush again to push the filling into the bear. Begin with the feet, legs and arms working towards the filling hole until the bear is plump and firm. Fold the raw edge of the filling hole in and stitch the hole with small, firm stitches. Your bear is now complete and ready to decorate!